Does the VUSB MIDI work with latest linux kernel versions still with 2ms high speed? I think the exchange rate is determined by the operating system on the PC and how quickly it polls the USB port. Obviously there is an upper limit imposed by the speed of USB too. after a quite long time I've added a new demo project - V-USB-MIDI-ATtiny85. Runs on a real cheap development board, e.g. Digispark - available as china clone for about 1..2 € or $. 16.5 MHz without xtal, 1 key input,one potentiometric analog input. MIDI out is also possible, e.g. PWM or digital. Have a look at my Bitbucket. Last edited by horo on Thu Aug 31, 2017 12:06 pm, edited 2 times in total. me again. 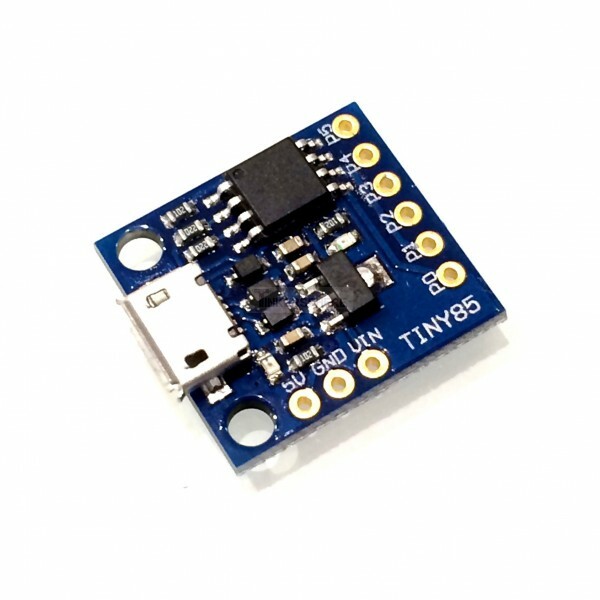 I've cleaned up the attiny85 midi code at bitbucket, added pwm out and a 2nd analog input. PB0: Digital input or digital output or pwm output. PB1: Digital input or digital output or pwm output (active high LED attached). PB2: Digital input or digital output or analog input ADC1. PB3, 4: USB data lines. PB5: 1 analog input (ADC0, shared with the /Reset function, but you can apply a voltage between Vcc/2 and Vcc -> 512..1023 without resetting the device). Short test on Win7 -> USB transfer every 8ms. Win / Mac users: please double check on your systems.